A trip to the Steeple - a new part for me. Two shots of the flower of the Bilberry - Vaccinium myrtillus. The bank was covered with plants and shimmered an orange-pink - beautiful. And two shots of Pond Skaters - Gerris lacustris. 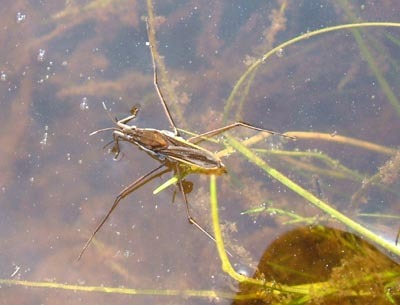 The close-up shows that they are fully winged, and the front pair of legs (which are used for catching other water insects) are well separated from the other pairs of legs. 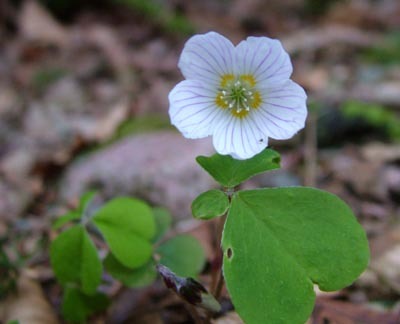 And lastly, a close-up of Wood Sorrel - Oxalis acetosella. These covered the floor of this part of the woodland. Flower about 12mm across.